Tick the item types (e.g. song items) and press Apply and then when you add a song to the playlist it will use that theme as the default. 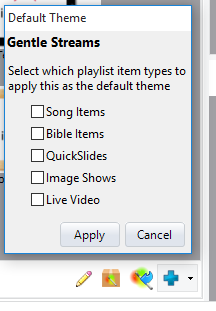 You can also set a theme default for a specific song which applies in preference to the global default. 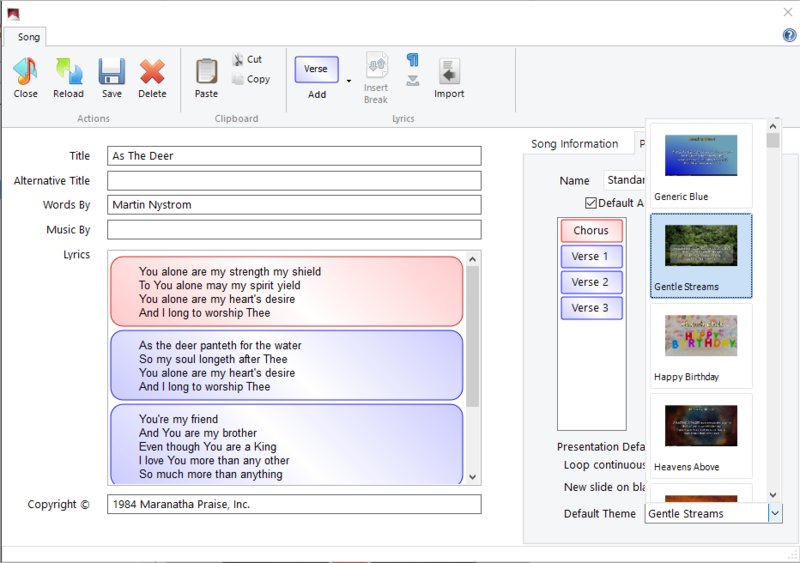 When editing a song, on the right side "Presentation Options" panel there is a Default Theme drop down where you can select the theme to use for that song.